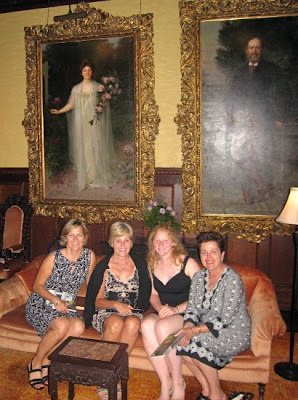 Just returned from a week in Saratoga Springs NY and a fabulous visit and cocktail party at the mansion called Yaddo. The mansion itself and the gorgeous gardens surrounding it are a fixture in Saratoga Springs and has been the site of many fundraising parties and the refuge for artists to create in a supportive environment. 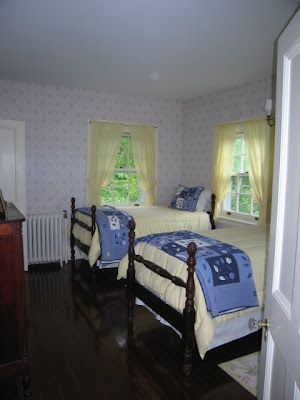 Yadoo was built in 1800's - it was originally a grist mill and was bought by Spencer Trask for his wife Katrina after their first child died and they wanted a respit from the city of New York. The mansion is very ornate and most of the same furnishings that were in the mansion during the Trask years are still there today. 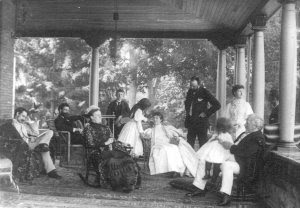 Here is the Trask family on the porch- the guests at the cocktail party - including us- spent the first hour of the evening out on this porch drinking wine. It was a humid evening and it was much cooler on the porch. This photo was taken when the Trask children were still alive. All 4 of the Trask children died before their parents. The first one died at 5 years old in Brooklyn, NY. The next two tragically died after their parents ,listening to bad advice from the doctor, visited their mother who was suffering from diptheria. The two children contracted the disease and later died. 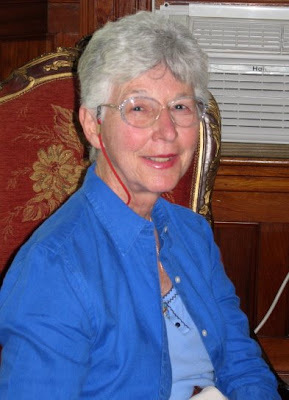 Katrina Trask recovered. The 4th Trask child died at 3 days old. This is the grand staircase in the mansion. Author and script writer Matt Witten heading up the stairs at the end of the evening. Witten did a great job of introducing the audience to his new "5 minute mysteries" that will be available on the internet. 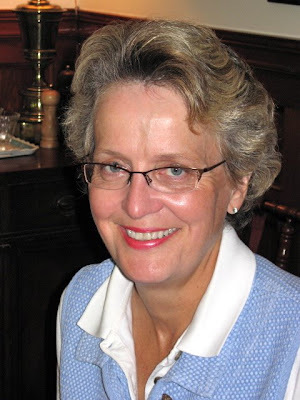 Witten, formerly a Saratoga Springs resident and mystery novel author was the guest speaker for the fundraiser that evening. This 1940's postcard showed the mansion during that era. 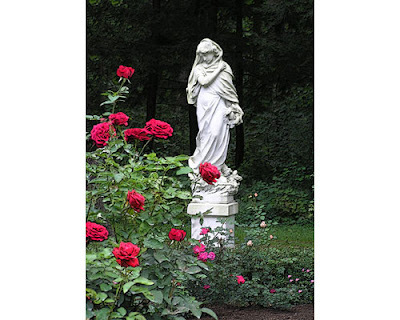 The Trasks created the foundation to enable creative people - authors, artists, composers to come to Yaddo and stay for a period of time in order to work on projects. It is said that Edgar Allen Poe wrote a section of "The Raven" here at Yaddo. Here you see, beneath grand portraits of Katrina and Spencer Trask, some very lovely guests at the cocktail party. Anne O'Toole and Mary Flaherty were enjoying the ambiance and delicious food from local restaurants. At the entrance to the mansion - there are 2 sleighs which are adorned with painted scenes. 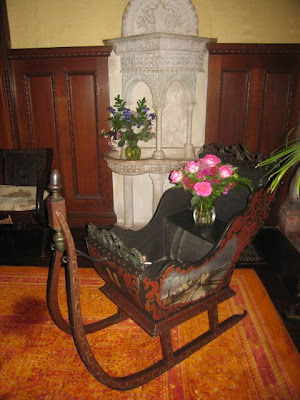 The marble font behind the sleigh is also a Trask piece. As you walk into the mansion from the covered porte-cochere this marble reflecting pool is immediately inside the entrance. The fireplace mosaic in the main drawing room is directly related to the fact that the mansion itself was burned to the ground in a fire in 1891. 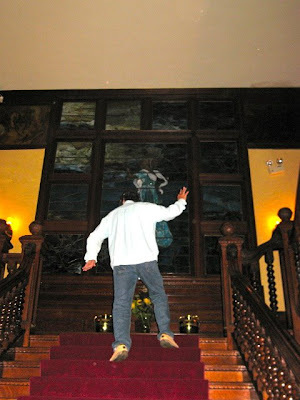 The Trasks spent less than 2 years reconstructing the entire mansion and the Tiffany mosaic says "unconquered by flame, Yaddo is reborn for peace"
On the grand staircase wall a large portrait of Spencer Trask hangs. Another earlier postcard shows the lavish gardens that still remain today. 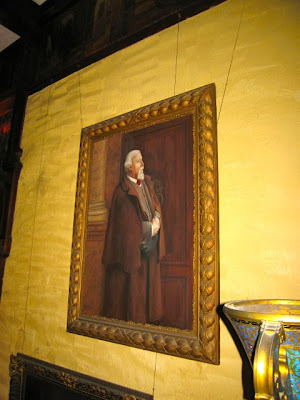 Here Spencer Trask is shown - a great philanthropist he always included artists and creative people as his guests at Yaddo. 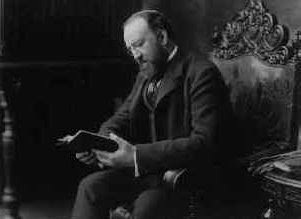 On New Year's eve 1909 Spencer was called back to New York for work and as he road in his private rail car another train ran a red light and careened into the speeding train. Trask was the only fatality. Katrina ended up marrying George Foster Peabody - a mutual friend of both the Trasks. Together they continued their support of the artists who visited Yaddo. A philanthropic foundation was formed to create a sanctuary where artists could stay and create. 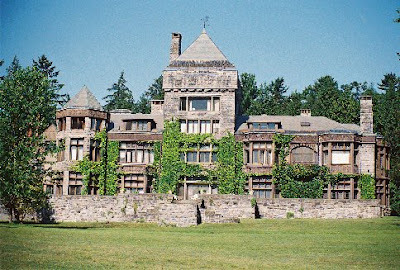 Truman Capote, John Cheever, Aaron Copeland, Edgar Allen Poe, Sylvia Plath and Langston Hughes are just a few of the famous people who have spent time at Yaddo. 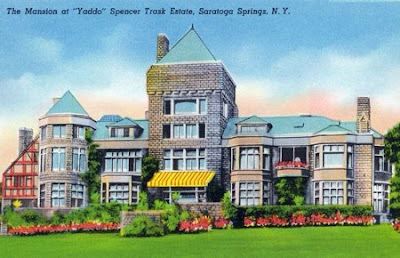 It is said that Katrina and Spencer Trask's daughter created the name 'Yaddo" she thought it was the opposite of shadow- or she couldn't say shadow- With all the terrible trials of the Trask family, it is understandable that they would try to rid their home of shadows- Yaddo needed to be a positive place. And now it is that place. Every month the ladies of Crosby Manor Estates try to get together socially for breakfast at our local inn. Some of us only summer up here in Maine and it is so good to get together after a winter apart. Lots of good food and fine conversation!!! Sue and Pat in deep discussion. Two of my favorites, Anne and Pat, looking lovely. Judy looks great in blue!!! The whole crew- a lovely time was had by all- See ya next month!!!! 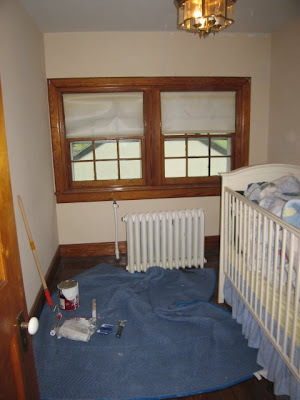 Here is the next room we will be working on - it will only take a removal of a border - hopefully the glue will not be as hard to remove as the previous room. 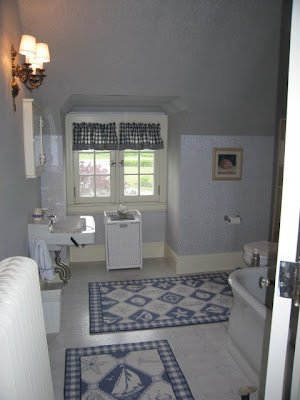 I want to paint this with a more wedgewood blue to match the oriental rug and new valances. The servant's bathroom will need a lot more work- I want to bead board the walls about 3/4 of the way up from the floor. 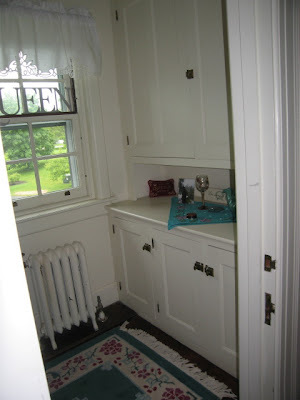 White bead board is what I am leading towards. We also need to tile the floor. This room is the linen room and should be pretty easy- requires only paint- lots of woodwork though and that is time consuming !! 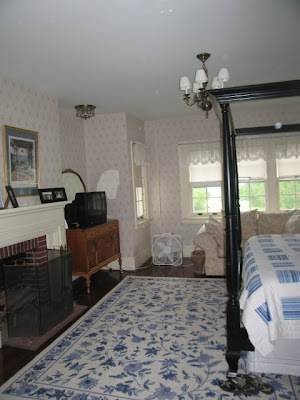 Our Master suite will be a pain I imagine- lots of wall paper removal and then paint walls and wood work!!! I think by this time we will be hiring a professional - George may have had enough! Moira's room- another painful job- tons of wallpaper and major ceiling repair- hopefully most of the heavy ceiling repair will be done this week or next by the professionals!! The sleeping porch will require just paint and no wallpaper removal but we will have a job with the floor- complete removal of the floor tiles and then maybe tile???? Who knows- I think I would like wood but with the windows opening from floor to ceiling maybe a nice tile would do the trick- Oh and new screens made for all the windows!!! No more birds flying in when the windows are open!!! GJ's room needs complete removal of paper and then a paint job! 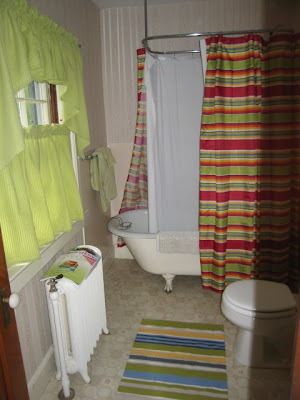 The stand alone bath looks cute in this pix but we know it will be a job and a half with removal of the paper- painting and tile work- if I had my way a shower stall would be installed too as we could really get much more use out of this bathroom with a shower- now it is exclusively used for kid' baths!!! 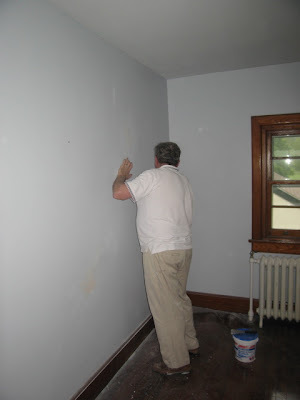 We have started to paint a few rooms in the servant's section of the house. 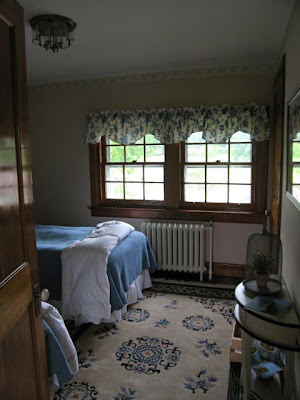 We decided that it wouldn't be too difficult since there is only a border in a few of the rooms and to take that small amount of wallpaper down would be a cinch! Not quite. George spent more than a few hours scraping the old glue that was left after the "1980's" border was removed. I shudder to think what the amount of work it would take to remove the rooms completely covered in wallpaper! 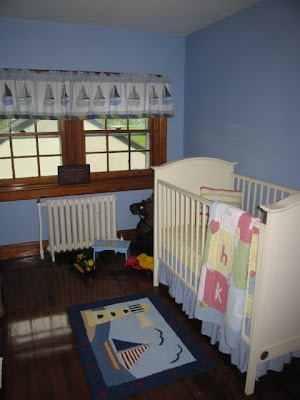 Grandson Gabey's room pre-painting. No border here but George had to prep the walls and make sure any cracks were repaired. Here it is all done- love the color- it is more periwinkle blue. Needed a brighter color for a little boys room!!! 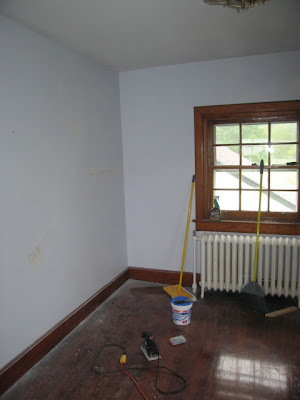 Here is the guest room after George painted- lots of clean up required. This color is actually gray-but has a definite blue tone when on the wall. George working on his prep- over and over he found and repaired cracks- also on the ceiling! Final product is gorgeous- love the gray tone and it is amazing how clean and new the room feels- now we just have 5 more bedrooms and the rest of the house to paint!!!! What a project!! But bit by bit we are getting it done!! !